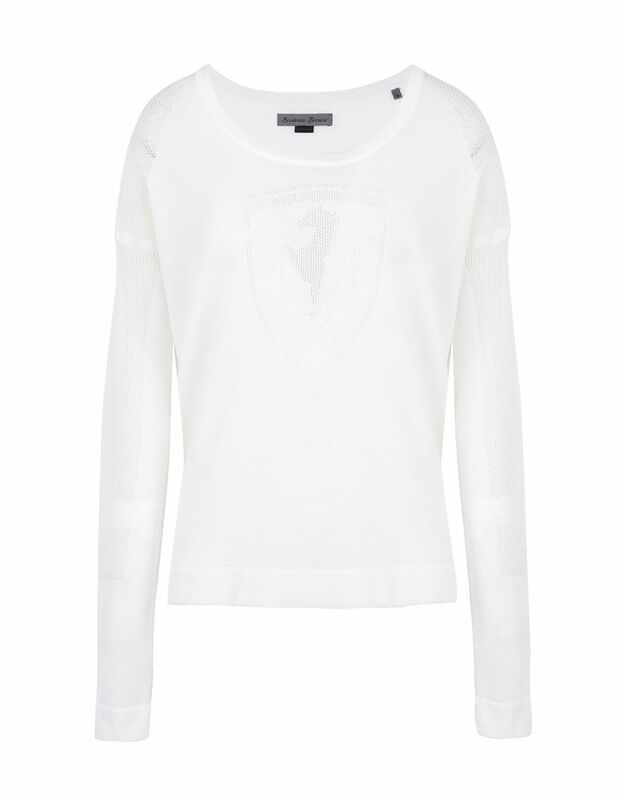 The women's long-sleeve sweater is made of fine Italian cotton yarn with tricot knit inserts. With its refined details, this light long-sleeve t-shirt is noted for the quality of the materials and workmanship. The slim, cropped fit give it a comfortable fit. 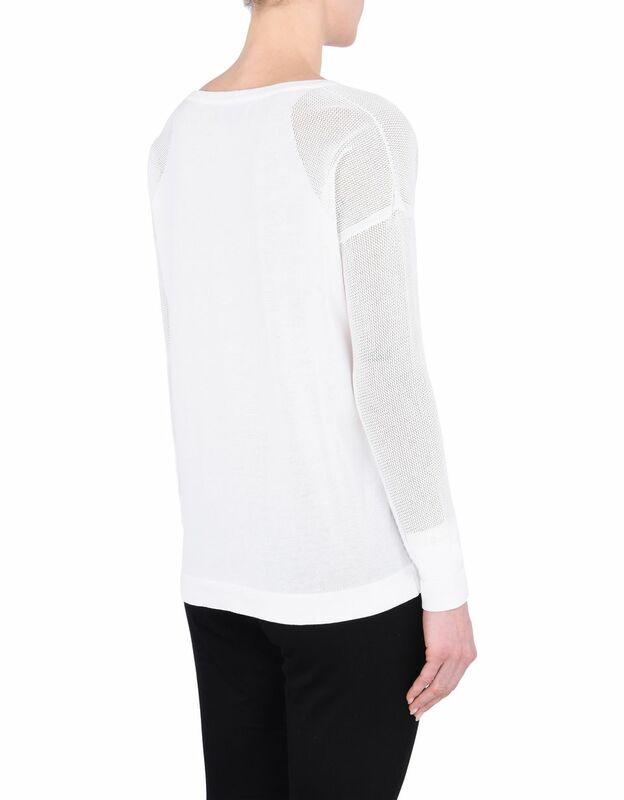 The exposed knit inserts at the elbows and armholes are a distinguishing feature. 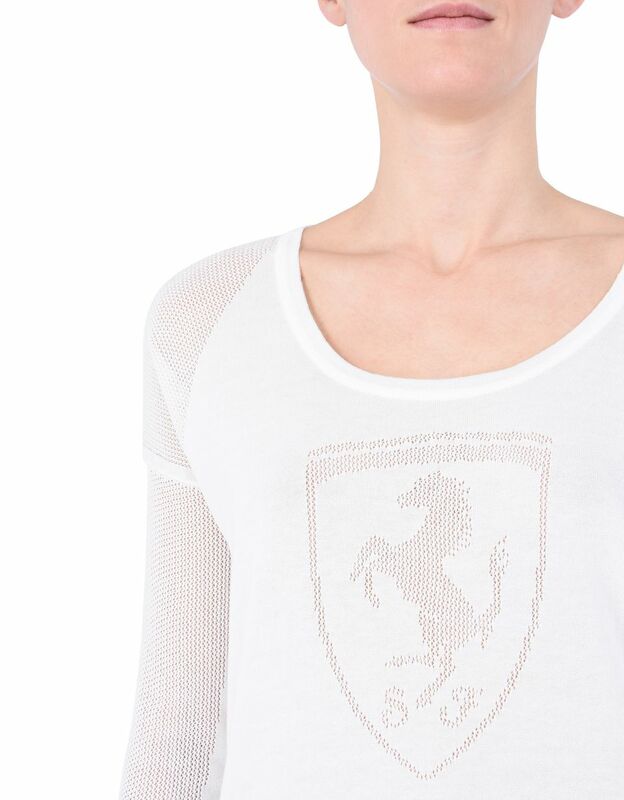 The Scuderia Ferrari sweater, entirely Made in Italy, features the large handcrafted Shield on the front. 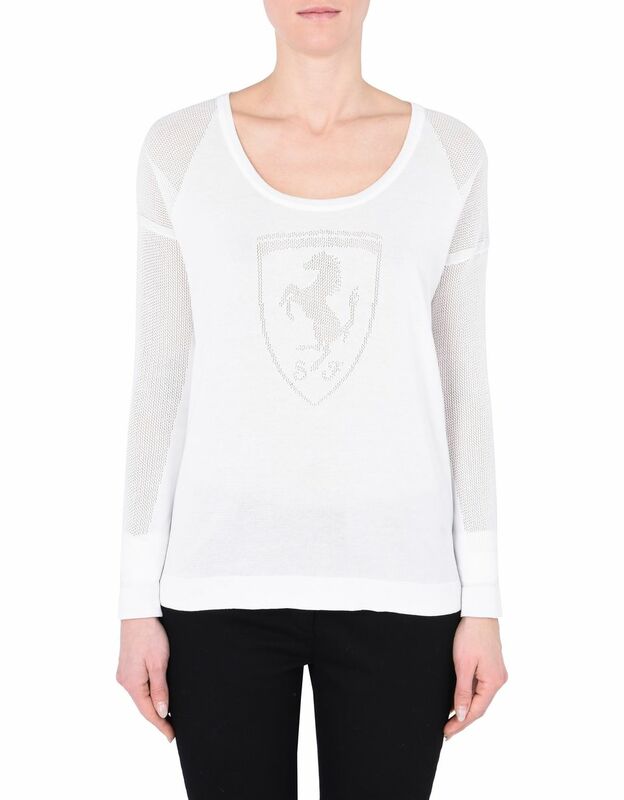 This item celebrates the Scuderia Ferrari tradition with a classic style, suitable for casual yet sophisticated outfits.